We're hiring! – Learn More. Mixed fleet management has never been easier. 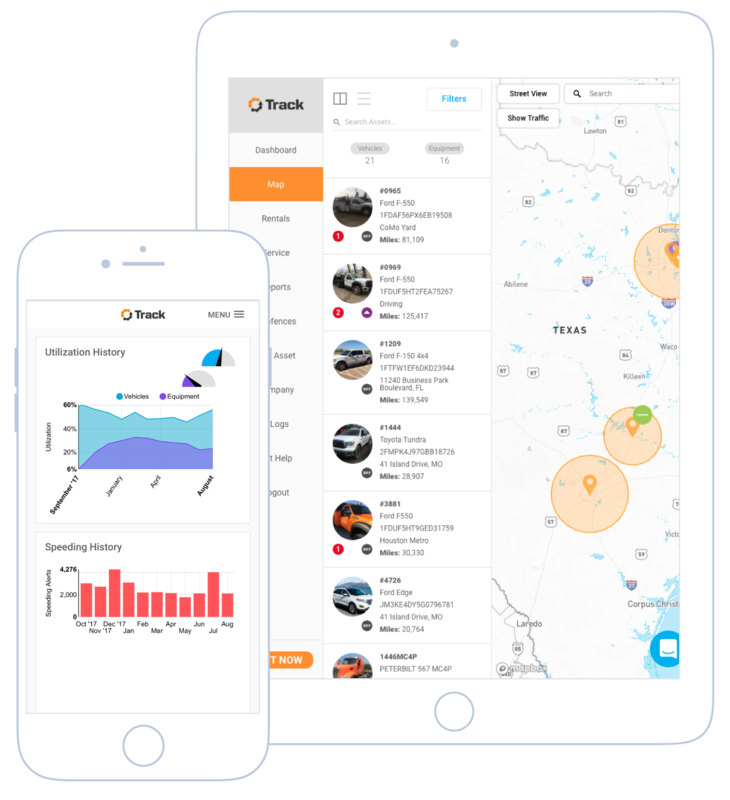 EquipmentShare Track is an advanced telematics solution for your vehicles and equipment that puts functionality at your fingertips. Track changes how contractors work. Managing an entire construction fleet can be complicated. Track telematics makes it simple. Our cloud-based telematics platform simplifies, streamlines and connects the jobsite. It's packed with features that help you work smarter and more efficiently every day. 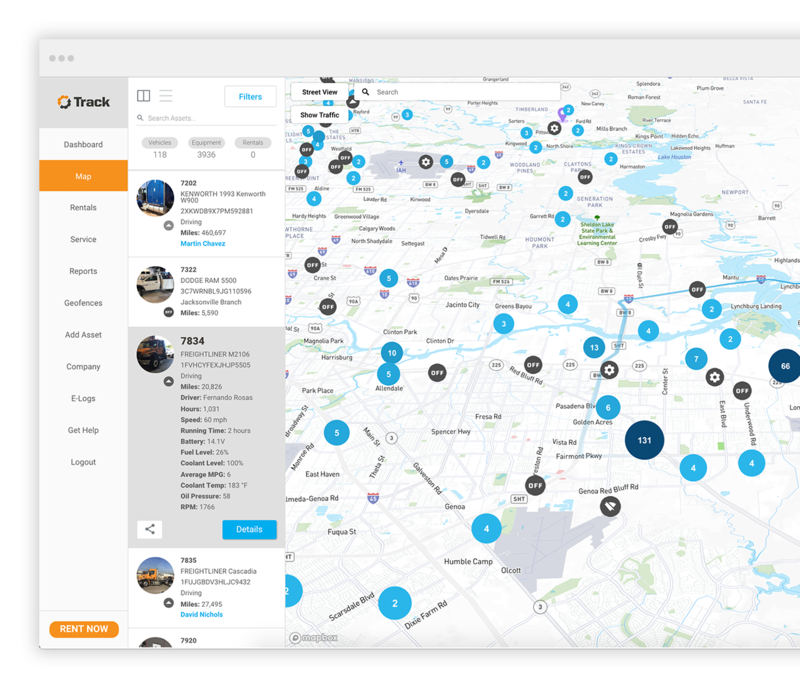 See how better fleet management with Track can help your team become more productive. Reduce accidents and lower your insurance rates. 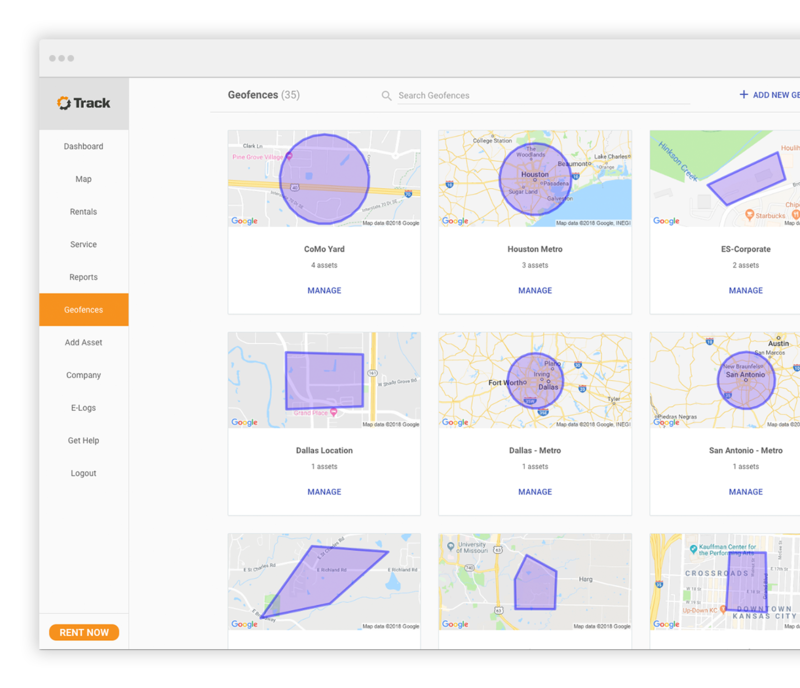 EquipmentShare Track gives you the data you need to prevent accidents—you can spot dangerous drivers, prevent uncertified employees from operating machines and tie machines to a lot or jobsite. And you can use that data to show insurers you’re committed to safety, which could lower your insurance premiums. Safety and security start with Track. Track keeps your mixed fleet safe from common hazards on the jobsite: Geofences and Access Codes combat theft and unauthorized use of your machines. Driver Scorecards ensure your employees—and everyone around them—are safe on the road. Built by contractors, for contractors, Track has the features you need to solve the problems you face every day. And that means better efficiency, less downtime and bigger profits. With Track, no one uses your equipment unless you say so. Cloud-connected, this combination of telematics platform and security keypad gives you round-the-clock control over your fleet. Make sure everything is where it's supposed to be. Geofencing uses GPS or RFID to trigger pre-programmed actions when a physical boundary is crossed. More features to help your operation. Prevent unauthorized use and tell you who’s using equipment and when. Eliminate communication issues with technicians by using digital work orders. Safety starts with responsible driving. Responsible driving starts with Track. Customizable alerts for violations or drivers nearing their limits. Paper logs are messy and inaccurate. Track simplifies ELD compliance. Understand the performance of every asset you own. Set physical boundaries around equipment yards or jobsites. Locate drivers, reroute around traffic and boost overall efficiency. IFTA compliance doesn’t have to be a hassle. Track makes it easy to maintain and service everything in your fleet. Don’t get blindsided by breakdowns — fix problems before they happen. Stay organized and minimize losses. Monitor small tools across the jobsite. No annual contracts. Starting as low as $15 per month. Start making better decisions for your business and take back control of your fleet.